Behringer DJX900USB Pro Mixer What do you get when you merge the highly successful PRO MIXER DJX750 with the super-smooth infinium “contact-free” optical crossfader and built-in USB connectivity? You get the DJ mixer that’s sure to set a new industry standard—the BEHRINGER DJX900USB. Considering purchasing the Behringer DJX900USB? Have questions? Ask people who've recently bought one. Do you own the Behringer DJX900USB? Why not write a review based on your experience with it. This product is perfect for the bedroom DJ, not only it is the club standard layout, for the price you can't beat it. We all no that pioneer is just too expensive, so this is perfect combined with a pioneer RMX-500 and two CDJ's you've got yourself club standard gear and some of the effects that the pioneer gear has, this mixer is like i said perfect for the bedroom DJ, or even if you've got a tight budget. I'd seriously recommend it. However just to balance my judgement out if you are planning on using the effect's without a external effect unit, it's really fiddly and they just straight up sound rubbish in comparison to the pioneer gear. Even then the combination i just mentioned (if you are going to be using effects) is quite close to what a pioneer set-up is like, but for less price then a mixer from pioneer! so think about that. So, if your not going to be using effects this will simply be all you need, seriously if you don't want to use effects, this is just as good as pioneer gear. Scratching will work perfectly fine with this, and generally i'd say if your not using effect, there is no reason at all to get pioneer gear. Overall i'd say that this is simply the best emulation for getting club standard gear, as well as full upgrade ability in all sorts of areas on the mixer or even if you're are on a tight budget. Pretty decent, the effects are no where need as good as the pioneers but the rest is pretty close, especially the hpf. Perfect for bedroom setups. 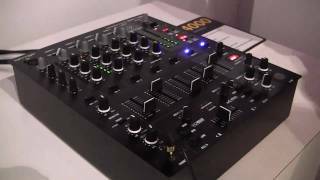 The DJX900USB is a good mixer for the price although there are a few things that could be improved with it I would recommend this mixer to dj's who are just getting started. For the price it's a very good mixer! The lack of XLR outputs mean it's not really suitable for clubs, but for home use it does the job. Not the best mixer I've ever had the pleasure of using but great value for money. Very similar features to the top end pioneer mixers. The FX can be a little bit confusing to get to grips with at first as they are done on a number system rather than the usual labelled dial selector. Perfect for beginners and club djs. Multiple channels means the ability to connect cdjs and vinyl turntables at the same time. There are a number of effects to use and the beat match function can be helpful although I have not used it much due to personal preference. The best feature is probably the fact that it can be easily connected to a computer for an easy way to record sets. Seen a video for Behringer DJX900USB online or have you own video? You will earn 486 loyalty points with this product worth £1.22, when logged in. 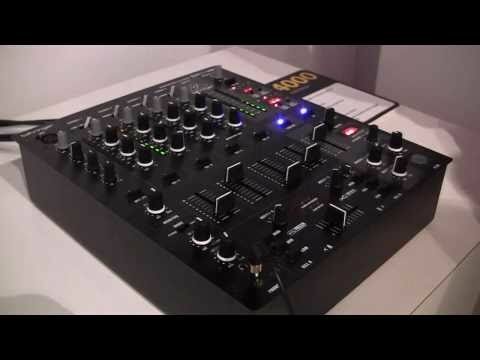 Check out Behringer DJX900USB on DJkit.com!